different countries and the risks that it faces. They therefore discuss how the asset management business operates; how it is organized; the nature and size of risks in the business, who bears them, and how they are financed; and what the alternative forms of investor protection are, together with their associated costs and benefits. 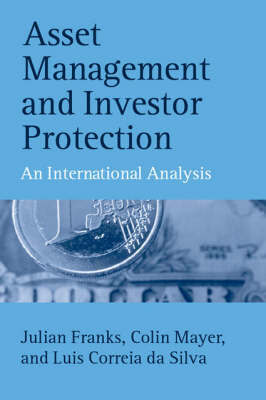 Buy Asset Management and Investor Protection by Julian Franks from Australia's Online Independent Bookstore, Boomerang Books. 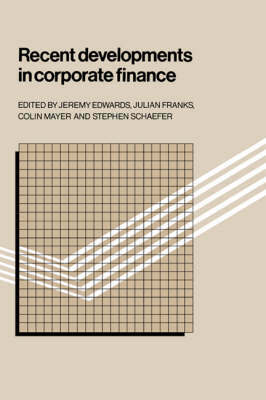 Julian Franks is Corporation of London Professor of Finance at the London Business School. He was formerly the Director of the Institute of Finance & Accounting; Visiting Associate Professor, Universities of North Carolina and California (Berkeley); and Visiting Professor, University of California at Los Angeles. Colin Mayer is Peter Moores Professor of Management Studies at the Said Business School and Director of the Oxford Financial Research Centre. His current research is on the relation between financial systems and economic performance, the financing of high technology firms and large investment projects, and the evolution of ownership and control of firms. 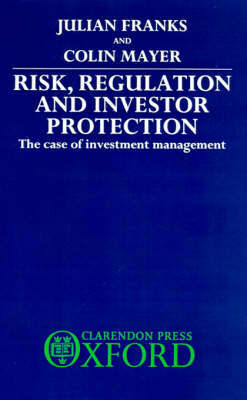 He has written widely on corporate finance, taxation and governance, and on the regulation of financial markets. Luis Correia da Silva is Director of Oxford Economic Research Associates Ltd. His main area of specialization is in the financial aspects of regulation and competition policy cases. He is also an expert on cost of capital, corporate governance, and other corporate finance issues.He has undertaken work for various financial services clients, such as the London Stock Exchange, the European Asset Management Association (EAMA), and the Financial Services Authority (FSA). He also advises utilities and regulators in the UK and abroad.